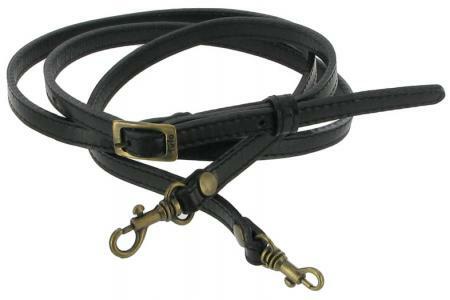 Tula Leather Shoulder Strap black. A Replacement strap for your Tula handbag. Available in black. When buckled in the centre hole the strap is 46.5"(118cm) long allowing adjustment of two inches longer or shorter its width is 3/8"(10mm). The strap is easily fitted with antique brass "dog clip" fittings and is made of top quality leather.The buckle is also antique brass with the "Tula" logo running along the bottom. If your strap needs fixing by us and you would like a quote please email me (Paul) pj@saddler.co.uk and i will be happy too advise you.